35 kilometers from Marrakech, in the small rocky desert of Agafay. 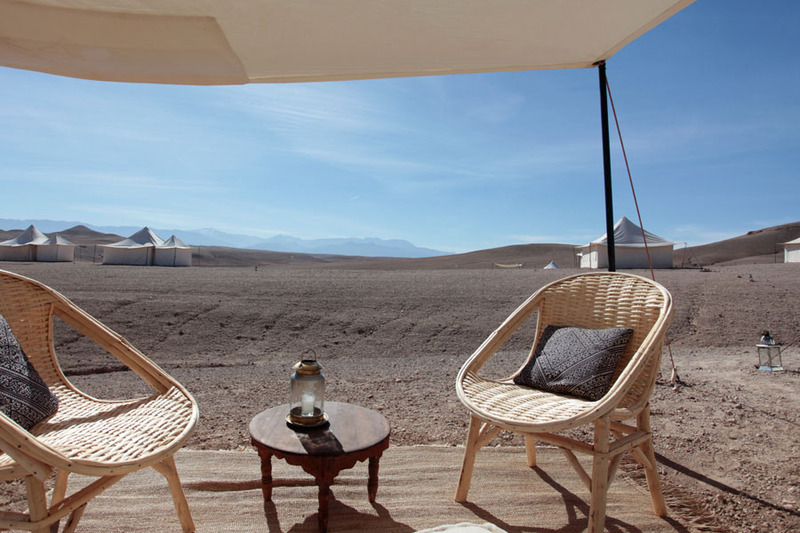 The camp siting affords stunning 360° views of the Agafay's barren grandeur and beyond to the snow-capped Atlas mountains. 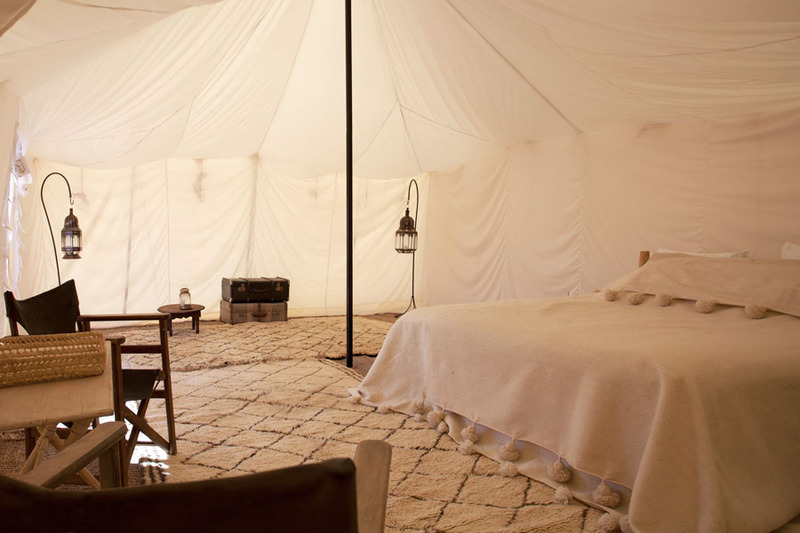 Each private sleeping area consists of a nomad tent of thick white cotton with regular and confortable beds (twin or double beds). 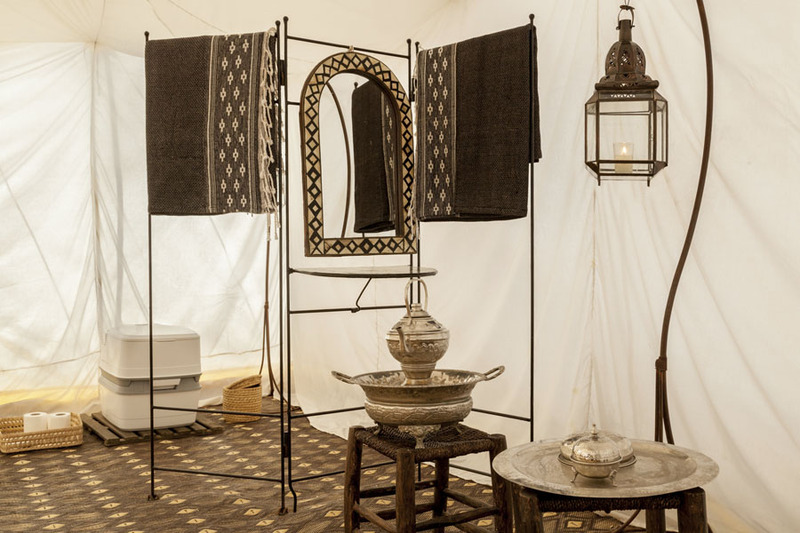 Guests can recline in a traditional Moroccan lounge strewn with ethnic cushions or put pen to paper as Papa Hemingway did at a wooden writing desk. 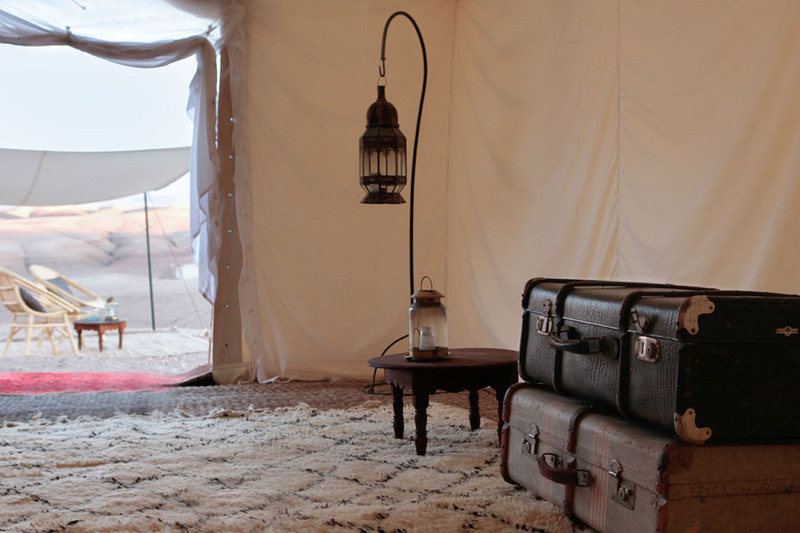 A stretched cotton panel screens the entrance to each tent, for you to silently savour this mystical desert landscape still untouched by tourism. 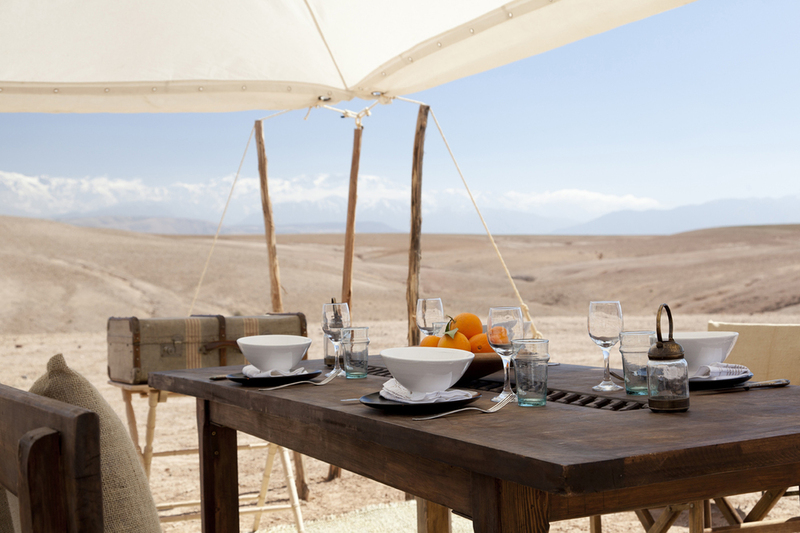 Feasting on traditional Moroccan cuisine around a candlelit communal table is one of the pleasures of the desert camp. As evening envelops the camp in inky blackness, the dining tent is aglow on the hillside, inviting guests with the sounds of conversation and clinking glasses. 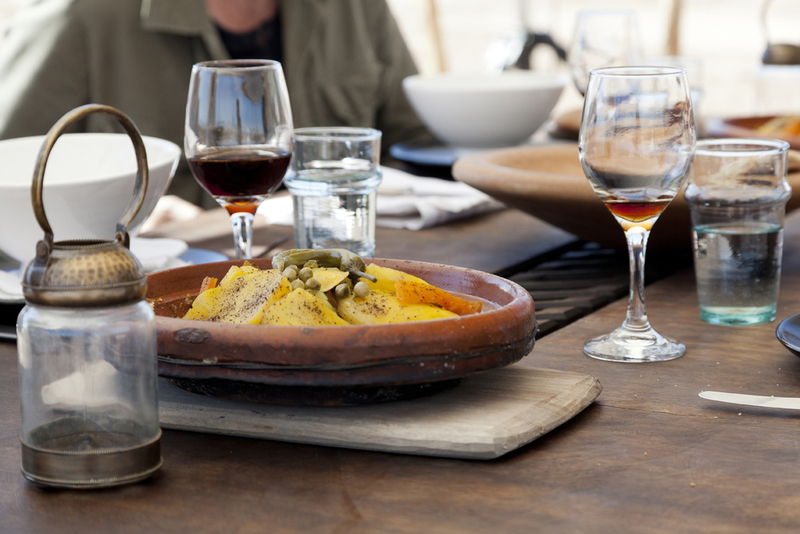 Fresh bread is baked daily in a small traditional earthen oven and seasonal vegetables are cooked simply to bring out the natural flavour of the fresh produce. Most of the activities offered by Scarabeo Stone Camp are designed for you to enjoy the great outdoors and breathtaking panoramas of the region. 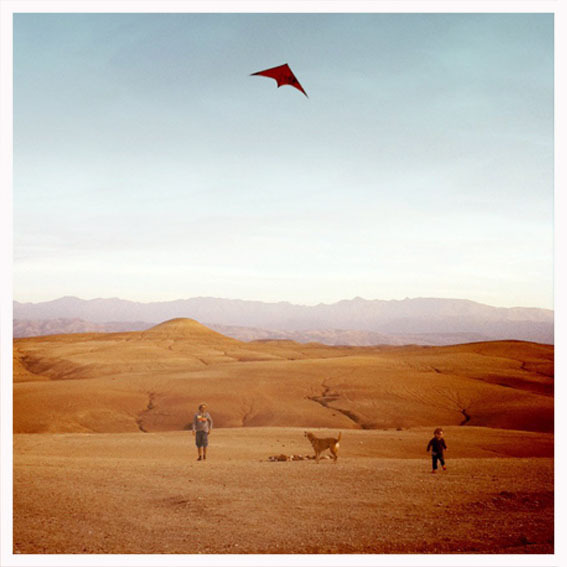 Marrakech is not far away, and so all the activities this enchanting city has to offer are within easy reach, and in some cases can even be relocated to the camp. It is important to book the optional activities in advance for organizational reasons and to ensure availability. Contact us for the rates of the different activities you wish to combine.